There's no question that Eames house numbers would be a lovely addition to any home, but I wanted to give a little local love to a couple of people who are making equally interesting address numbers. 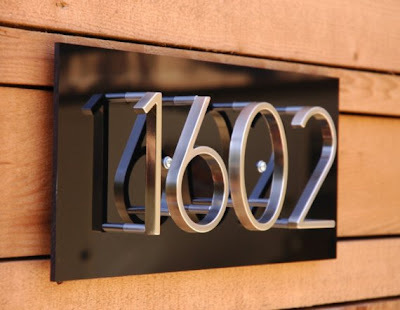 Modplexi address plaques come in a wide range of colors (red, orange, yellow, blue, light blue, coke bottle green, green, black, brown, grey and clear) and can be made to hang verticle or horizontal. 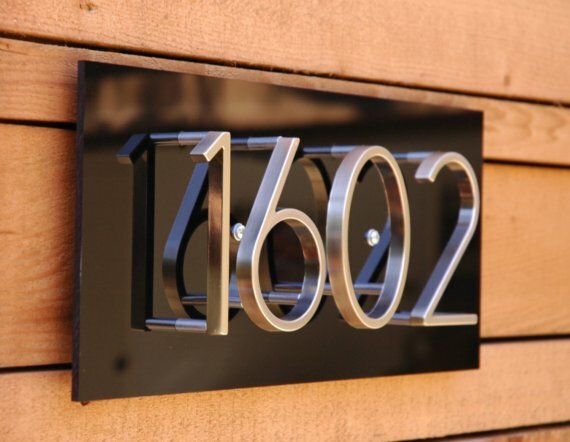 A few of my neighbors have Modplexi address numbers and they look pretty spectacular next to any door. 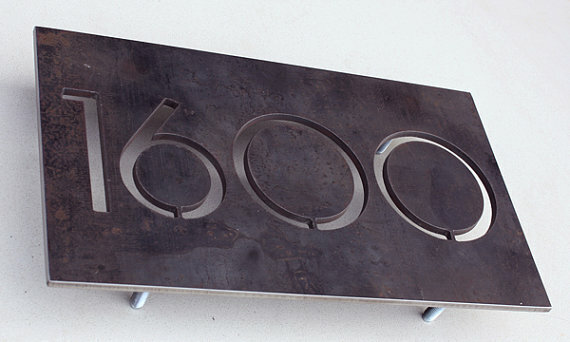 Austin Outdoor Studio makes house numbers out of 1/4" hot rolled steel, which will quickly develop a deep rust brown patina. The plaques can be created in a variety of fonts and have studs on the back for easy attachment to a home. I love both of these. I really need to replace my house number. The previous owner epoxied big wooden numbers vertically onto the painted brick, and I have procrastinated, because I know it's going to turn into a big scraping and repainting project.